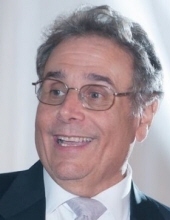 Mr. Anthony P. Cappiali, 69, died suddenly on May 2, 2018, in Abington Hospital in Abington, PA.
Mr. Cappiali was born in Philadelphia, PA. He was a graduate of Bishop Neumann High School. He received his undergraduate degree from Temple University and a MS degree in taxation from Widener University. A former resident of Glenolden, PA, Mr. Cappiali lived in Elkins Park for the past three years. A CPA, Mr. Cappiali was a partner with Cecile Blumenthal at Cappiali & Blumenthal, PC in Springfield, PA.
Mr. Cappiali was an active member of Immaculate Conception Church in Jenkintown where he was a eucharistic minister. He was a member of the Men of Malvern. He was also a member of the Pennsylvania Society of Tax and Accounting Professionals. He was a veteran of the U.S. Navy. He is survived by a daughter, Natalie M. Cuttic (Brian), one granddaughter, Noelle M. Cuttic, and his life partner, Cecile R. Blumenthal. He was predeceased by his wife Judith M. Cappiali. Relatives and friends are invited to his visitation on Tuesday, May 8, 2018, after 9:30 AM at Immaculate Conception Church, 602 West Avenue, Jenkintown, PA 19046, followed immediately by his funeral Mass at 10:30 AM. Donations in his memory may be made to the Living Beyond Breast Cancer (www.lbbc.org), Leukemia and Lymphoma Society (www.lls.org), or Malvern Retreat House (www.malvernretreat.com). To send flowers or a remembrance gift to the family of Anthony P. Cappiali, please visit our Tribute Store. "Email Address" would like to share the life celebration of Anthony P. Cappiali. Click on the "link" to go to share a favorite memory or leave a condolence message for the family.